The legal clinic of the National Society for Democracy and Law has always been like a haven for the weak and marginalized women in the male-dominated society, which is mostly controlled by traditions and backward customs. 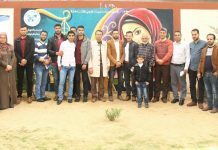 The legal clinic has been working in Rafah and Khan-Younis to help tripthe battered women to access justice since 2011. 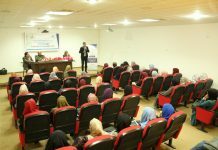 Since its foundation, it could arrange about 189 workshops, targeting 6685 people (5440 females and 1245 males). 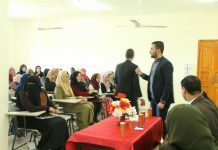 It carried out 1605 legal consultations (1239 for women and 366 for men) and provided 450 legal representations (417 for men and 33 for men). Between (2013 and 2014), lack of funding for more than 8 months threatened its job of helping the battered people, but it continued providing the services completely for free charge, believing that such a category urgently needed its help. Thence, it provided 70 legal consultancies and 48 legal representations before Sharia courts at that time, totally for free. It is still doing its job although there is lack of funding for about two months. It has provided 21 legal representations and 30 legal consultations. It is worthy to mention that it could win 27 judgment for the benefit of the vulnerable groups. One of the most difficult experiences that the legal clinic has gone through was when “Wefaq Society” asked it to receive 20 files of the cases they were following up. Wefaq Society could not follow up them, since the project, designed to support such cases had finished. However, the legal clinic is used to accepting such cases transferred from the partner institutions. 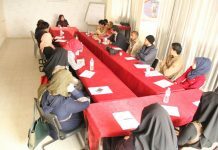 National Society for Democracy and Law has always been on the side of women subjected to violence by providing them with free legal services such as “legal awareness sessions, legal consultations, legal representations and many other”. All of such legal services have been playing a prominent role to improve the social, economic and legal life of the battered women.